The articles listed below chronicle the history of the ISDP. Links to the complete articles are included where available. Our thanks to the ISDP Historian, Dr. Wolfgang Weyers, for compiling this list, and for writing many of the articles himself. Enjoy! Weyers W. A. Bernard Ackerman – 1936-2008. Am J Dermatopathol 2009; 31: 740-761. Read article. Weyers W. The International Society of Dermatopathology at 25 years of age. A new era has begun. Am J Dermatopathol 2005; 27: 272-274. Read article. Weyers W. The 21st Colloquium of the International Society of Dermatopathology. Am J Dermatopathol 2001; 23: 232-236. Kempf W, Haeffner AC, Mueller B, Pannizon RG, Burg G. Experts and gold standards in dermatopathology. Qualitative and quantitative analysis of the self-assessment slide seminar at the 17th Colloquium of the International Society of Dermatopathology. Am J Dermatopathol 1998; 20: 478-482. Kempf W, Pannizon RG. The interdependence of dermatopathology and basic science. Joint meeting of the 17th Colloquium of the International Society of Dermatopathology and the Swiss Group of Dermatopathology, Zurich, Switzerland, July 18-20, 1996. Am J Dermatopathol 1997; 19: 487-490. Magaña-Garcia M, Fernández-Diez J. Something new and different in dermatopathology. 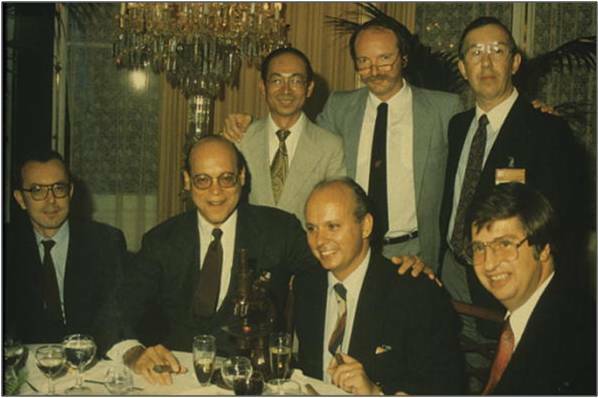 The 16th Colloquium of the International Society of Dermatopathology, Cancun, Mexico, November 8-11, 1995. Am J Dermatopathol 1997; 19: 97-100. Burg G. Report from the President (V), 1992-1994. Am J Dermatopathol 1995; 17: 534-537. Read article. Khorshid SMS, Cerio R. Recent developments in clinical and experimental dermatopathology. Joint meeting of the 15th Colloquium of the International Society of Dermatopathology and the British Society for Dermatopathology., London, July 1-3, 1994. Am J Dermatopathology 1995; 17: 421-424. Su WPD. International Society of Dermatopathology (ISD) going "international." Report of the Regional Clinicopathologic Colloquium (RCPC) of the society. Am J Dermatopathol 1993; 15: 404-406. Milde P, Cerroni L. "The interdependence of dermatosurgery and dermatopathology." The 14th Colloquium of the International Society of Dermatopathology, Siena, Italy, June 26-July 1, 1993. Am J Dermatopathol 1994; 16: 342-345. Piérard GE, Su WPD. Guidelines and criteria - dermatopathology fellowship sponsored by the International Society of Dermatopathology (ISD). Am J Dermatopathol 1993; 15: 98. Maize J. A report from the President. Am J Dermatopathol 1991; 13: 624-626. White CR. The American Journal of Dermatopathology - coming of age. Am J Dermatopathol 1991; 13: 1. Chalet MD. The other side of the podium. A report on the meeting of the International Society of Dermatopathology with the American Society of Clinical Pathologists, Las Vergas, Nevada, October 22, 1988. Am J Dermatopathol 1990; 12: 211-214. Kerl H. A report from the President. Am J Dermatopathol 1988; 10: 89-91. Jones RE. Annual U.S. Meeting of the International Society of Dermatopathology in association with the American Society of Clinical Pathologists and the College of American Pathologists. Am J Dermatopathol 1986; 8: 180. Kerl H. 3. Internationales Dermatopathologie-Symposium. Malignes Melanom und andere Neurocristopathien, 11.-15. August 1984 in Lüttich. Hautarzt 1985; 36: 425-426. Ackerman AB. The International Society of Dermatopathology. Am J Dermatopathol 1981; 3: 245-246. Kerl H. Dermatopathology Colloquium, Amsterdam, June 1979. Am J Dermatopathol 1980; 6: 503-505. Ackerman. From the editor. Am J Dermatopathol 1979; 1: 1-2.